This patient attended the practice as she was unhappy with the colour and shape of her teeth. 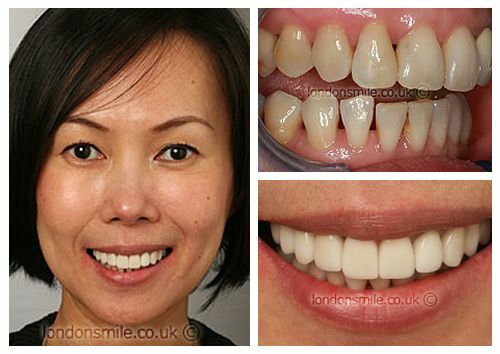 Dr David whitened both her upper and lower teeth and then placed a combination of veneers and crowns on the upper teeth, to give a much more even, bright and youthful smile. To have a perfect, confident and bright smile. It was amazing comfortable experiment. Dora and Dr David have both given assurance during all treatments. Their constant support and guidance made the treatment a total different experience. Certainly exceeded my expectations. I felt that I’m having a celebrity smile like celebrities on television. Certainly I would love them to have a happy smile like me. I have a youthful bright smile now. I cannot stop smiling! They were very polite and comforting. Their encouragement has helped me gain a very big bright smile.